125 Commonwealth is located on the north side of Commonwealth, between Clarendon and Dartmouth, with 123 Commonwealth to the east and 127 Commonwealth to the west. 125 Commonwealth was designed by architect William G. Preston and built ca. 1872, one of two contiguous houses (123-125 Commonwealth). 125 Commonwealth was built as the home of attorney George William Tuxbury and his wife, Harriet Matilda (Beals) Tuxbury, daughter of William Beals, co-founder of the Boston Post. 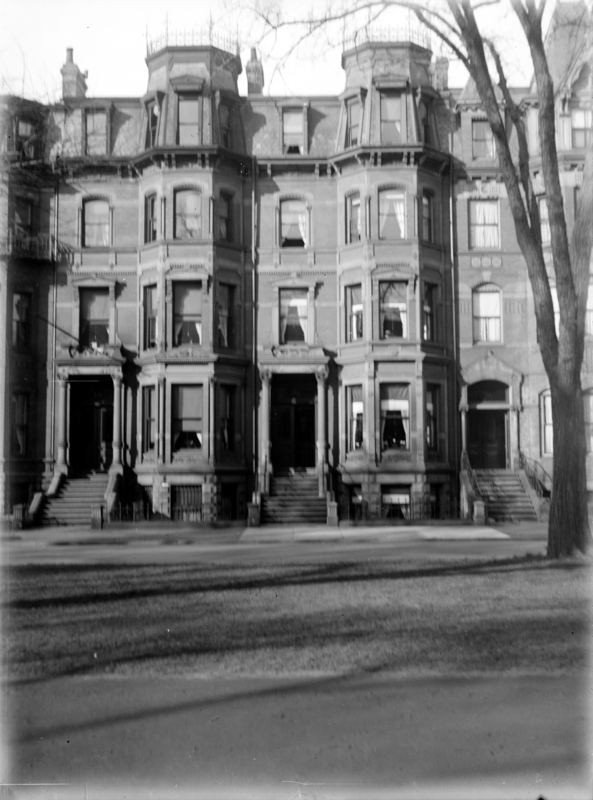 The Tuxburys previously had lived at 147 Boylston. 123 Commonwealth was built for Harriet Tuxbury’s sister, Elizabeth Bishop (Beals) Kendall, the widow of Isaac Kendall. George Tuxbury purchased the land for 125 Commonwealth on February 7, 1871, from Charles J. Fox. The land had changed hands several times, and originally had been purchased from the Commonwealth of Massachusetts on April 9, 1863, by Addison Childs. Click here for an index to the deeds for 125 Commonwealth. The Tuxburys continued to live at 125 Commonwealth during the 1877-1878 winter season, but moved thereafter to the Hotel Vendôme. On June 1, 1878, 125 Commonwealth was purchased from George Tuxbury by Maria L. (Dewey) Gray, the wife of Joseph H. Gray, a cotton and wool merchant. They previously had lived at 4 Union Park. Joseph Gray died in September of 1904. Maria Gray continued to live at 125 Commonwealth until her death in August of 1907. 125 Commonwealth was inherited by the Grays’ three children: Joseph Converse Gray; Fanny Dewey (Gray) Shoemaker, the wife of C. Harry Shoemaker; and Bessie Curtis (Gray) Martin, the wife of William Mulford Martin. The house was not listed in the 1908-1911 Blue Books. On March 15, 1911, 125 Commonwealth was purchased from Maria Gray’s heirs by real estate dealer William J. Stober. 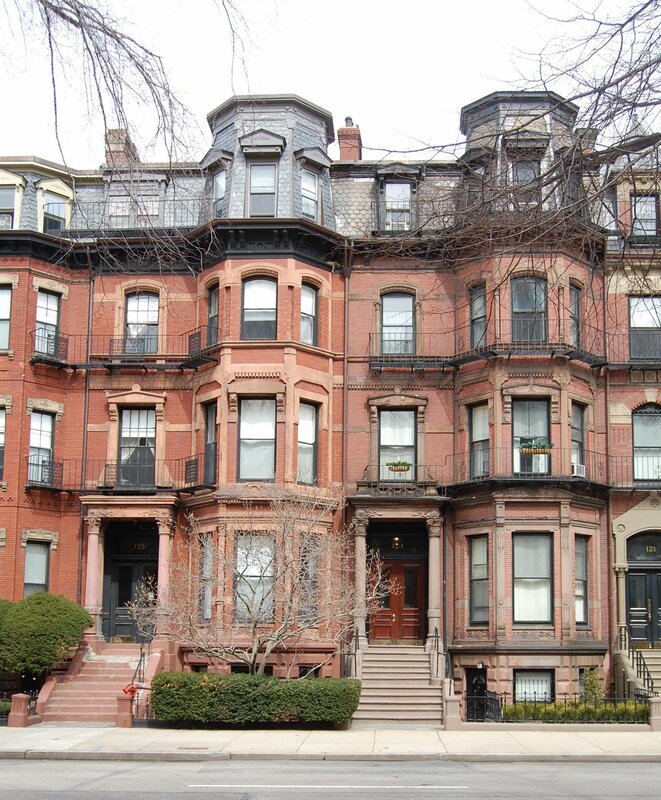 He purchased the property on behalf of Charles Fanning Ayer, who lived next door at 127 Commonwealth. William Stober conveyed the property to Charles Ayer on the same day he acquired it, but did not record the deed until July 1, 1926 (as a result, William Stober was the assessed owner through 1926). By the 1911-1912 winter season, 125 Commonwealth was the home of William Barry, a merchant tailor, and his wife, Leonie (Dueth) Barry, a former actress. They previously had lived at 214 Newbury. 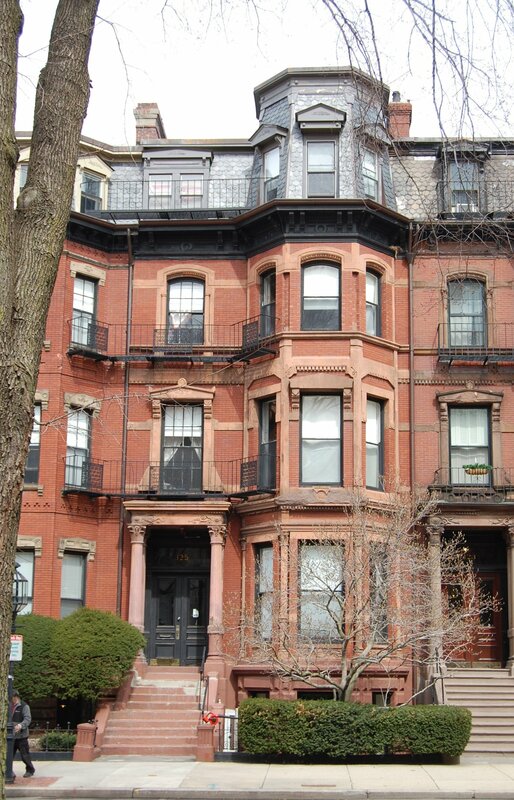 Leonie Barry’s unmarried sister, Rosalie (Rose) N. Dueth, lived with the Barrys at 214 Newbury, and probably moved with them to 125 Commonwealth, where she was living at the time of the 1920 US Census. The Barrys operated 125 Commonwealth as a lodging house. Among the lodgers living with the Barrys were retired architect George Frederick Meacham and his wife, Ellen Louisa (Frost) Meacham. 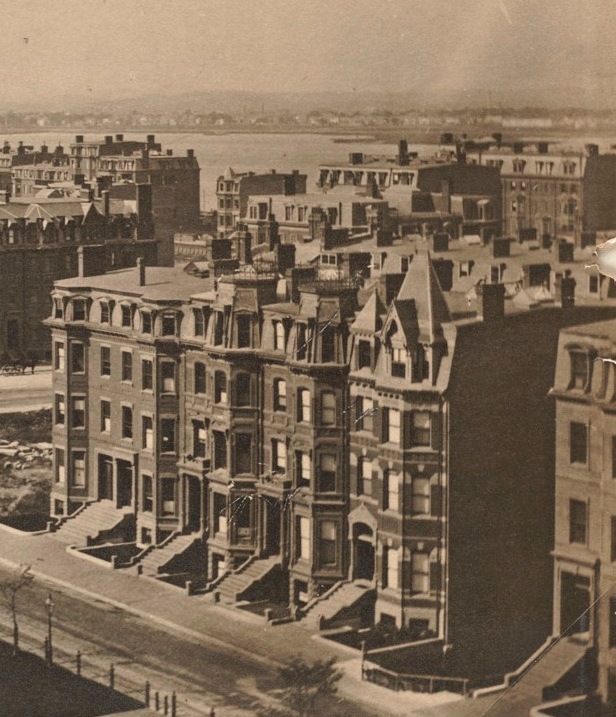 They had lived at the Hotel Brunswick (southeast corner of Boylston and Clarendon) in 1911. 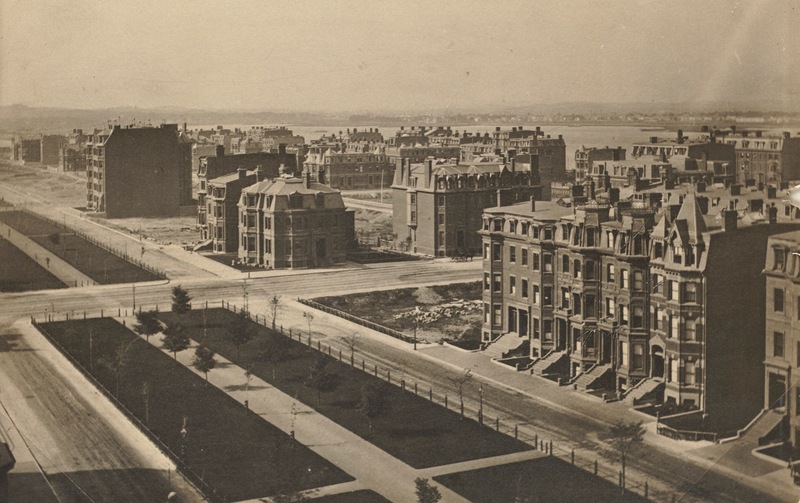 George Meacham designed the Boston Public Garden in 1860 and several significant Back Bay buildings, including the Hollis Street Church (1883) at the corner of Newbury and Exeter, and the Boston Bicycle Club (1884) at 152 Newbury. He died in December of 1917, and by the 1918-1919 winter season, Ellen Meacham had moved to 174 Commonwealth. By 1921, the Barrys had acquired 365 Marlborough, which they operated as a lodging house. 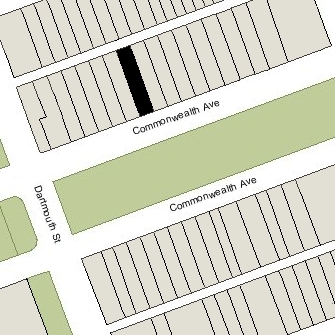 In about 1922, the Ayers moved from 127 Commonwealth. After they moved, it was consolidated with 125 Commonwealth and the Barrys ran both as a lodging house. 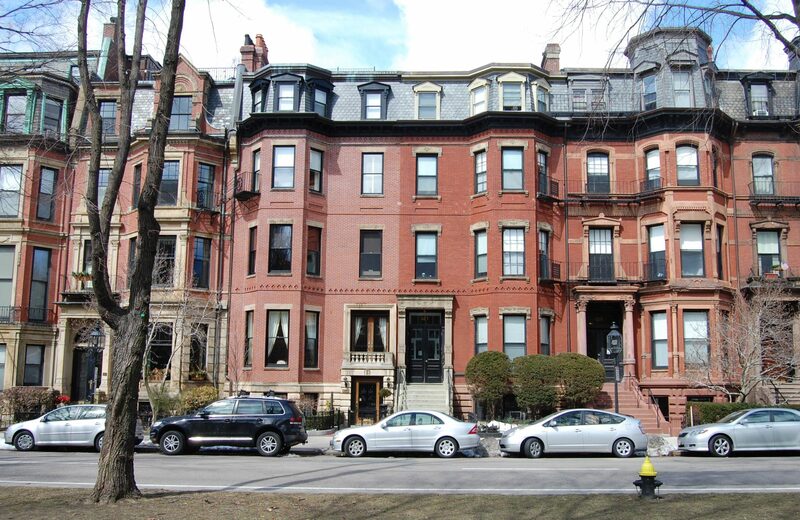 Many of the new residents at 127 Commonwealth moved from 365 Marlborough, which the Barrys converted into a dormitory.